Protect your confidential data and the reputation of your Philadelphia business from viruses and hackers with reliable IT security services from Domain Technology Group. We are an information technology (IT) consulting company and sister company of Domain Consulting Group, an SAP partner. Our cybersecurity team, in the Philadelphia area, offers decades of experience in IT security audits and assessments to determine an organization’s IT security risk level and the security services necessary to keep it safe from cyber crime. Most experts agree that cybercrime costs the global economy up to $500 billion annually, a number that is expected to grow to $2.1 trillion by 2019. According to the 2015 U.S. State of Cybercrime Survey, 79% of respondents experienced a cybersecurity event, and 33% of those respondents did not know where those attacks originated. If you doubt whether your company is large enough to be of interest to cyber criminals, consider that one in five small- and mid-sized businesses has been targeted. Your business is a gateway to larger companies. Many recent hacks and intrusions have begun by infiltrating the poor security and weak passwords of small subcontractors or low-level employees, providing the attacker with access to higher-level accounts. A highly publicized cyber attack on Target was accomplished by gaining access through a subcontractor’s account. Amazon’s network was hacked because lower-level employees were utilizing weak passwords. Even Mark Zuckerberg, one of the biggest names in tech, was recently in the news when word leaked out that his Twitter and LinkedIn accounts had been hacked. If these individuals and companies can have their information stolen, then all of us are targets. Domain Technology Group provides top-notch cybersecurity services and will work within your budget to detect, contain, and remediate data breaches, implement preventive measures, and help you reduce the potential for future threats. The four tiers of our cybersecurity program are security assessment, prevention, monitoring, and incident response. They can be conducted together (consecutively) or individually. When gaps in security are found, they are documented and reported to the appropriate individuals with recommended actions for eliminating gaps and vulnerabilities. One of the most crucial cybersecurity services we perform for clients is a security assessment, also known as a security audit. Our team of security experts conducts an extensive overview of your company’s security systems and processes to ensure that the proper measures are being taken to protect your data. The assessment is an all-encompassing review of physical components (hardware, networks, firewalls, etc. ), as well as policies and procedures. Hackers today are brazen and relentless. They are also smart, inventive, well-funded and patient. Protecting your data from intrusion and attack must also be relentless. 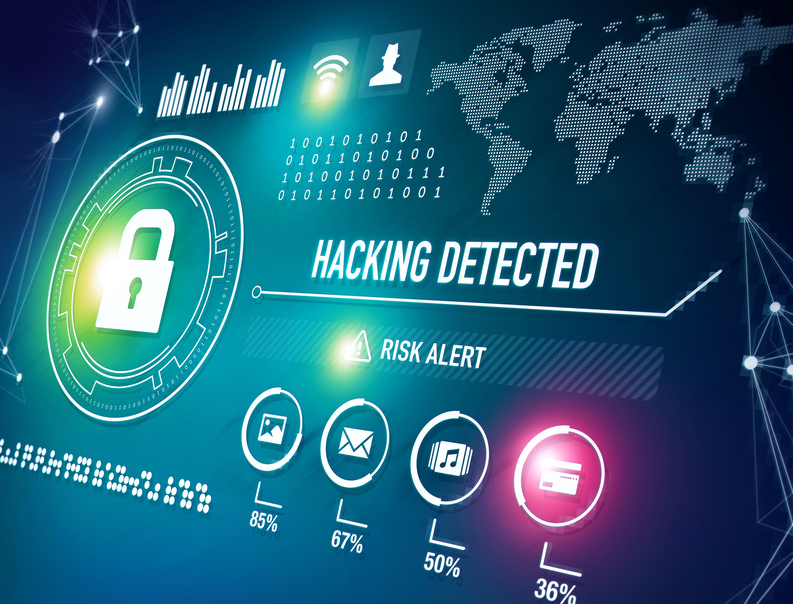 In addition to our cybersecurity program, we can help your business stay protected from cyber threats with the implementation of managed security services. Contact Domain Technology Group to find out more about our extensive IP security services in Philadelphia. Call us today at (610) 374- 7644, ext. 7001 for a free cybersecurity consultation.